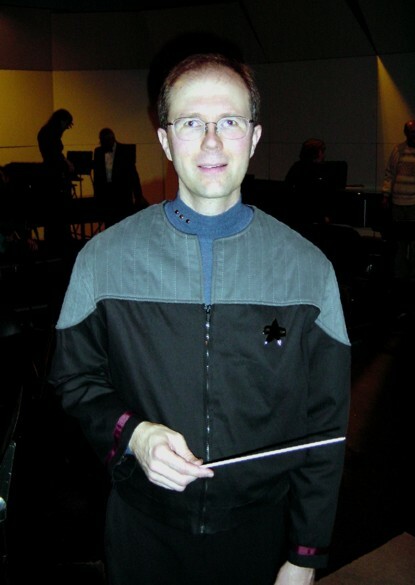 I appeared as guest conductor in costume -- a Starfleet Commander uniform, sciences division, circa 2373 -- with Nova Vista Symphony on January 8, 2005, leading Star Trek Through the Years. 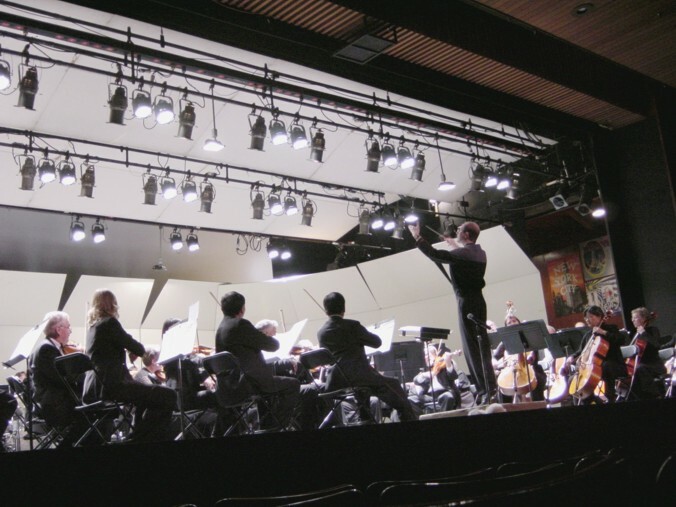 Photos take by Barbara Heninger. 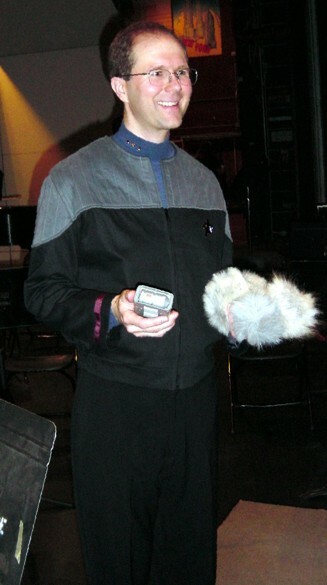 Scans revealed a number of tribbles on stage after the performance.